• Day care is defined as primarily providing supervision of young children and infants, either in a private home setting or as part of a larger center serving more families. Hours of operation tend to be longer to accommodate working parents’ schedules, and often, two or more meals are served daily. Many good care center and homes offer to stimulate and educational activities and experiences for their young charges. • Preschools are focused more on serving children aged 3-5 in areas including Kindergarten readiness and socialization skills, and are often seen as being held to stricter educational standards, such as requiring a minimum of an associate’s degree I Early Childhood Education, while offering age-appropriate curriculum. They usually keep shorter, often part-time hours as well serving healthy snacks rather than full meals. Some better day care centers also manage to combine early learning activities while offering care for a wider range of ages. 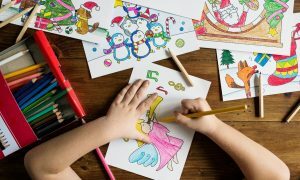 It is important to understand these differences as they usually translate into better salaries for preschool teachers and other early-learning center staff, as opposed to most childcare workers or private homes, where there is usually less emphasis on learning and socialization and more on the custodial aspects of care. 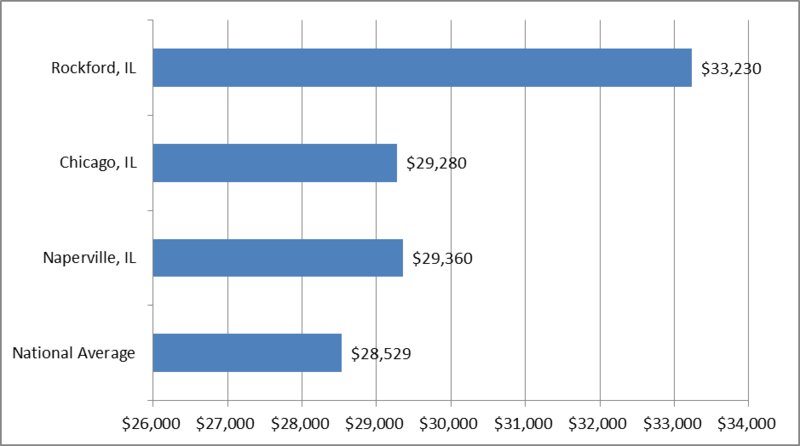 While salaries vary depending on location, preschool teachers in day care in Naperville, IL as well nearby Joliet earned better-than-average income, with salaries of $29,360 for that area. There is higher average pay for day care in Chicago also: around $29,280 annually for (preschool) daycare teachers salaries, in Rockford, IL pays an average of $33,230 annually. 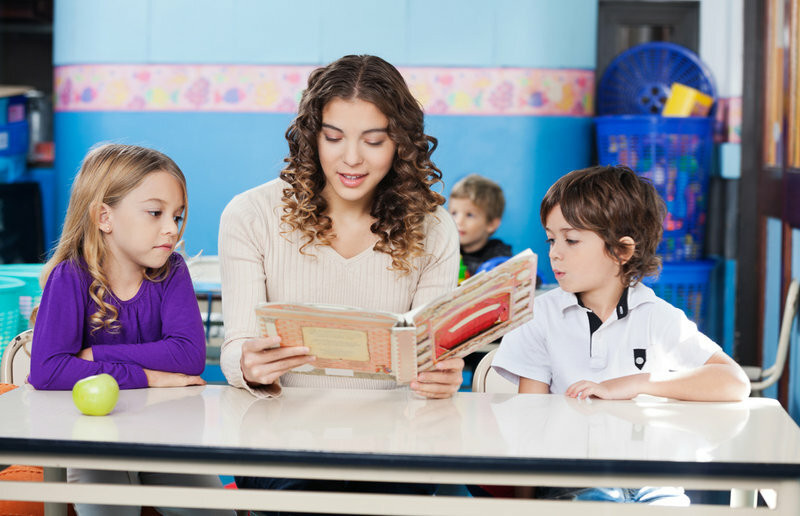 “Illinois is the fourth highest-paying state in the united states for preschool teachers”, according to statistics from the BLS. For non-preschool day care teachers, the pay outlook is a bit less rosy: according to the Bureau of labour statistics, the average salary for non-preschool day care teachers in the Joliet-Naperville, IL Metropolitan Division was around $11.85 hourly or $24,640 annually. Salaries for non-preschool daycare workers around the state tend to follow a similar pattern.